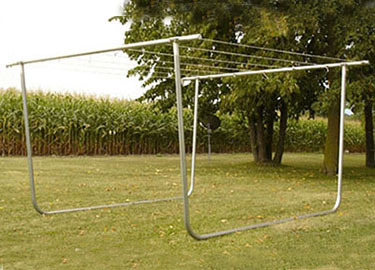 Freudenthal free standing, moveable Clotheslines are made from our high tensile, high strength, hot dipped galvanized 11 gauge 2" steel tubing. They never rust and never need painting. 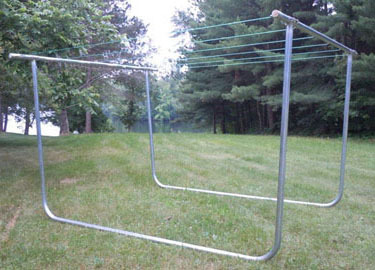 Our Clotheslines come standard 10'0" wide and 6' high with 7 lines.